Meanwhile at Chester the same afternoon, trainer Mark Johnston sent out Celestation (2f Excelebration-Coventina, by Daylami) to capture a seven-furlong maiden. 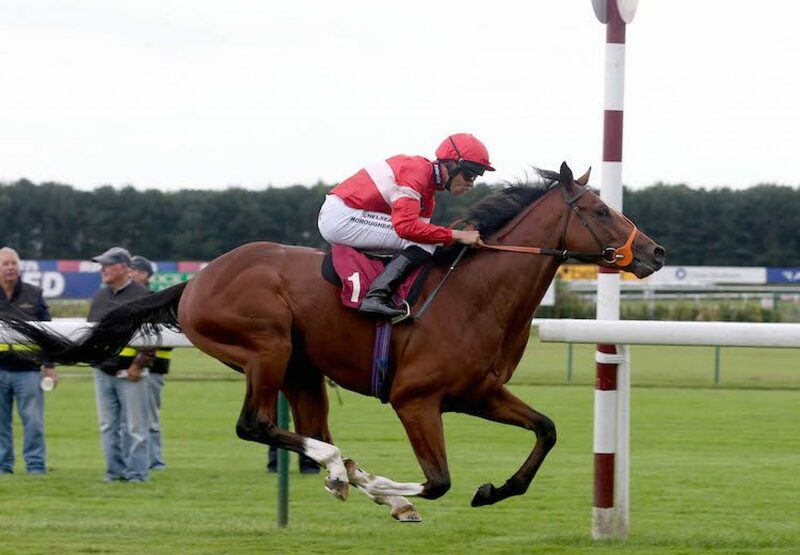 “It was a fantastic run in the Convivial Maiden at York and off the back of that we expected Celestation to win at Lingfield, but she came back lame from there. We gave her a couple of weeks and everything went right for her today, we knew after a furlong she was in the box seat and would take a lot of catching,” said Charlie Johnston, assistant to his father.